TRIANGLE (WTVD) -- Looking for a way to sweeten a gift this holiday season? Why not throw in some chocolate? Plus, it makes for an awesome gift for the chocolate lover in your life anyway. But all that sugary goodness doesn't have to come in a box or plastic, see-through candy cane! What better gift can you give a connoisseur than a visit to a real-life chocolate factory? 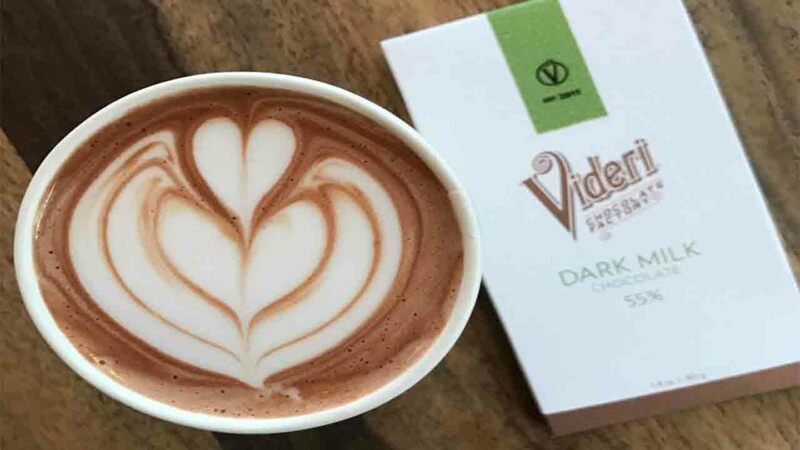 Natasha from "Lovely You Blog" suggests taking a trip to the Videri Chocolate Factory. This walk-through factory, located at 327 W. Davie Street, Sweet 100 in Raleigh, boasts its bean to bliss chocolate. You'll be able to watch the process take place, from roasting to eating. In addition to the free samples (yum), there are other gift options in the shop. Natasha also suggests grabbing a cappuccino while you're there. The Videri Chocolate Factory is a Shop Local Raleigh member - our partner for the ABC11/LeithCars.com Raleigh Christmas Parade presented by Shop Local Raleigh. Natasha is an ABC11 contributor. For more holiday gift ideas visit her blog or Facebook.